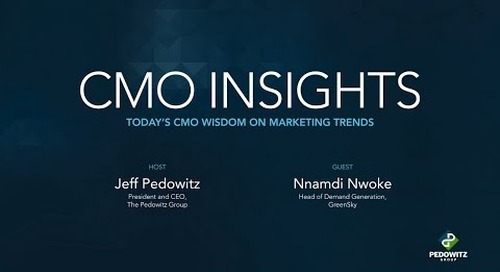 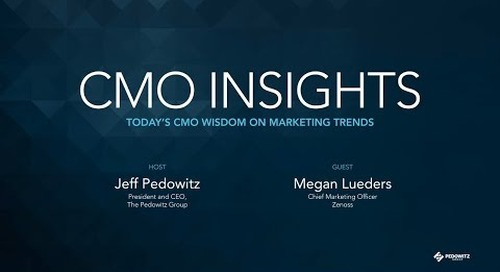 Jeff Pedowitz, President and CEO of The Pedowitz Group, sits down with Karen Steele, CMO of LeanData, to discuss taking a company from public to private, maintaining customer intimacy as a company grows and why not every problem needs to be solved with technology. Karen is Chief Marketing Officer at LeanData, where she is responsible for all aspects of product marketing, brand strategy, demand generation, customer and employee advocacy, and the customer journey. Prior to LeanData, Karen was Group Vice President of Corporate Marketing at Marketo, where she led the pioneering marketing automation company through its transformation from a public to private company and successfully introduced the New Marketo internally and externally. 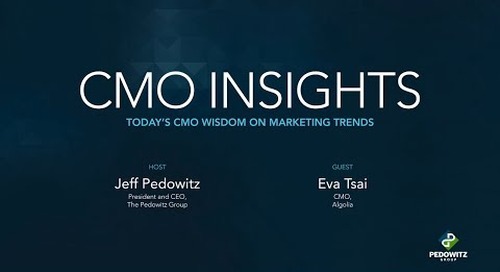 Over her 25-year career, she has held senior marketing management positions in such fast-growing companies as VMware, Informatica and Xactly, after having launched her high-tech career in marketing communications and advertising at Apple.